Joanna Yau is a doctoral candidate in the School of Education with a specialization in Learning, Teaching, Cognition, and Development. 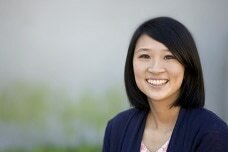 Her interdisciplinary research uses techniques from psychology, education, and human-computer interaction to understand the effects of technology and media on interpersonal relationships, wellbeing, and learning for youth. Her work on adolescents’ use of social media has been featured on New York Daily News and Education Week and her presentation at the 2016 American Psychological Association was livestreamed on Facebook and viewed over 10,000 times. Passionate about supporting undergraduates’ development as scholars and researchers, Joanna has served as a mentor for UCI's DECADE PLUS and will serve as a graduate mentor at the Society for Research on Adolescence's Biennial Conference. ​Joanna graduated from the University of Southern California with a B.A. in psychology and a minor in sports media.